Perfect system for home owners whose irrigation system consist of a 1 1/2 HP above ground centrifugal well pumps (or lower HP) and several sprinkle zones. providing a proper installation and correct dosage will allow you to enjoy rust stain-free irrigation. System include manual and test kit. 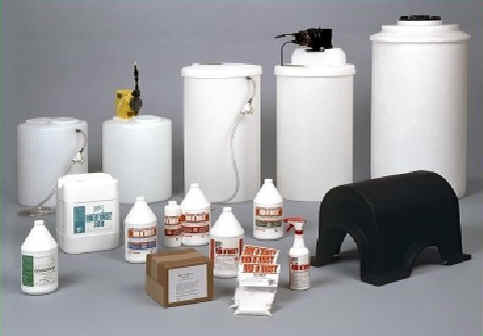 An injection system consists of a metering pump and related tubing and a feed tank. It is a great solution that with proper installation and correct dosage will allow you to enjoy rust stain-free irrigation. If installed outdoor, should be protected from the elements with a rain guard sold separately. Comes with a three function Valve (priming valve, pressure relief and line drain). Prime is maintained by a series of 4 ceramic ball check valves. Can be installed both indoors and outdoors. Recommended for outdoor installation. Industrial, Rain, Tight, Secure Rustproof Enclosure - Industrial – grade enclosure ensures long product life and deters tampering. U.L. Approved – Ensures the relays are approved for their intended use. 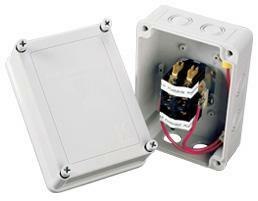 Large Easy Access Enclosure – Provides easy accessibility during wiring. Enclosure has 8 Recessed Knock-Outs – Provides easy connections from any direction. Plastic Inset Cover Screws – Provides extra system security, reduces liability and deters tampering. The Pump Start Relay enclosure is constructed with a corrosion resistant, UV resistant and shockproof material. The rain-tight, secure, rustproof enclosure provides a safe and secure connection in a housing built to last.